If you’re in a serious relationship, Valentine’s Day is a great opportunity to show your loved one that you care about and appreciate them. There are the obvious outings to local places to see a movie, go out for a nice dinner or do something else cute and spontaneous. You may also get flowers or chocolates… but what if you decide to make dinner at home? What’s the best thing to make for dinner on Valentine’s Day? 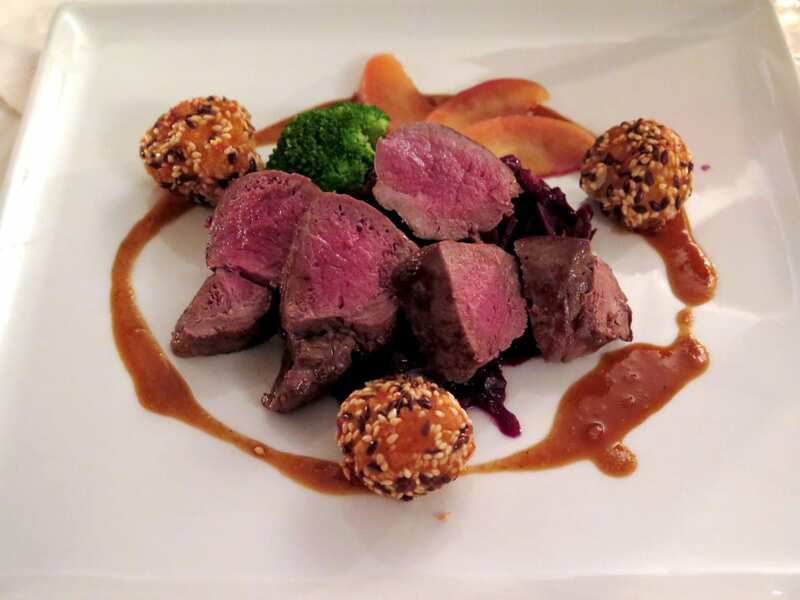 Fortunately, we’ve collected a list of romantic and delicious meals that are sure to set a romantic mood for you and your loved one on this special day. With no further ado, here are 10 recipes that are perfect to make on Valentine’s Day. [slideshow_type=desc num=3]1. Begin by putting an oven rack in the top third of your oven and preheat it to 450 degrees. Grease up one third of a sheet pan with butter as well. 2. 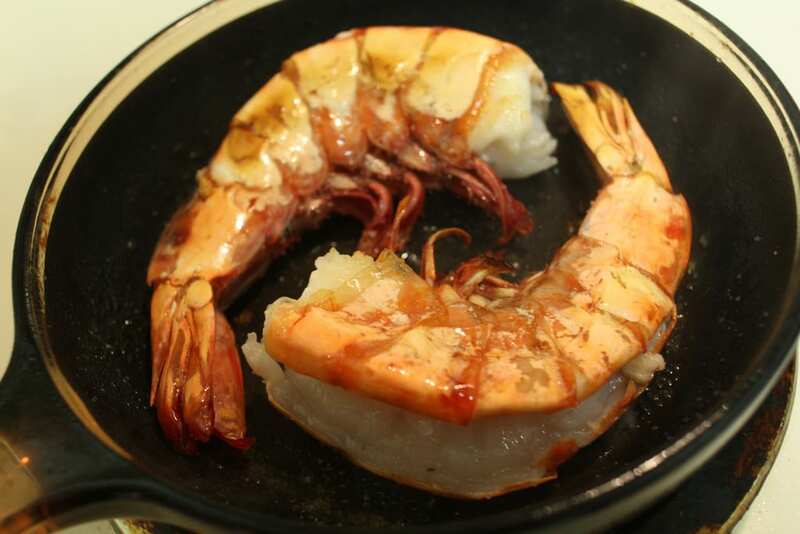 In the mean time, toss your shrimp with melted butter, a teaspoon of garlic, 1/2 a teaspoon of salt and a few grinds of black pepper. Set it all aside. 3. 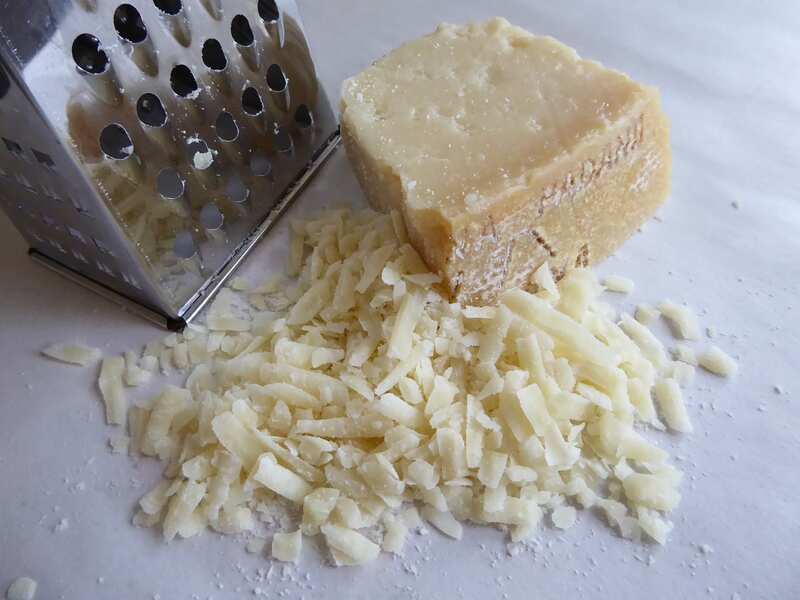 Mix together your Parmesan, 1/3 cup of heavy cream, a teaspoon of thyme, half a teaspoon of salt and a little more pepper. 4. Put half of your potato slices in a single, overlapping layer on a buttered sheet pan and pour your heavy cream mix on top. 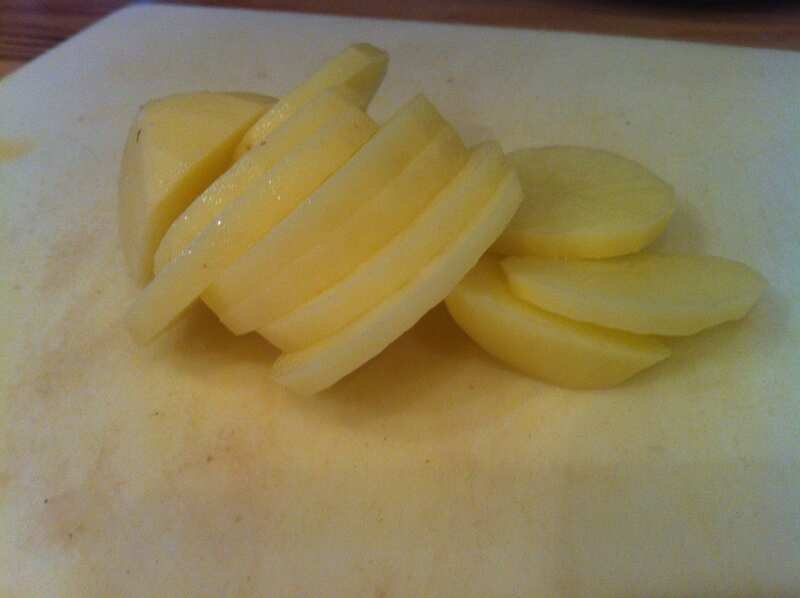 Top it off with the rest of the potato slices. 5. Cover everything with foil and bake everything until it turns tender, about 15 to 17 minutes. 6. Whisk together your cream cheese, the rest of your heavy cream and the rest of your garlic in a bowl until it turns smooth. Fold in your spinach until it’s well-coated. 7. Break the mixture up into two small ramekins and press the spinach down so it turns flat and the cream pools on top of it slightly. 8. When the potatoes are done, take them out of the oven, take the foil off and sprinkle the potatoes with Gruyere cheese. 9. 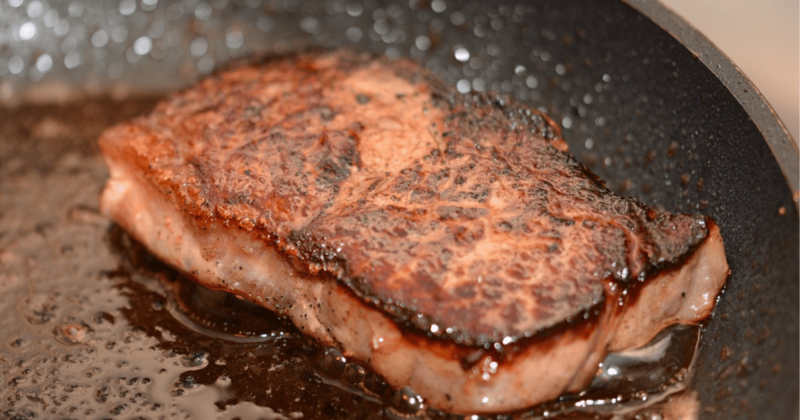 Lay your steaks in the middle of the pan and sprinkle them on each side with salt and pepper. 10. Put your ramekins on one side of the empty pan and bake again until the steak is 95 degrees in the middle (for 12 to 14 minutes). 11. After that, take the pan out and turn your broiler on. For decoration, twist your pairs of shrimp into two heart shapes next to the ramekins (by putting the tails together). 12. Broil the steaks until they turn brown and the middle reaches 115 degrees (for three to four minutes). Let it all sit for five to 10 minutes and serve! [slideshow_type=desc num=6]1. Begin by preheating your oven to 400 degrees. 2. Melt your butter in a big frying pan and cook your onions for five minutes until they start to soften. 3. Add mushrooms and cook for five more minutes until everything turns soft and creamy. 4. 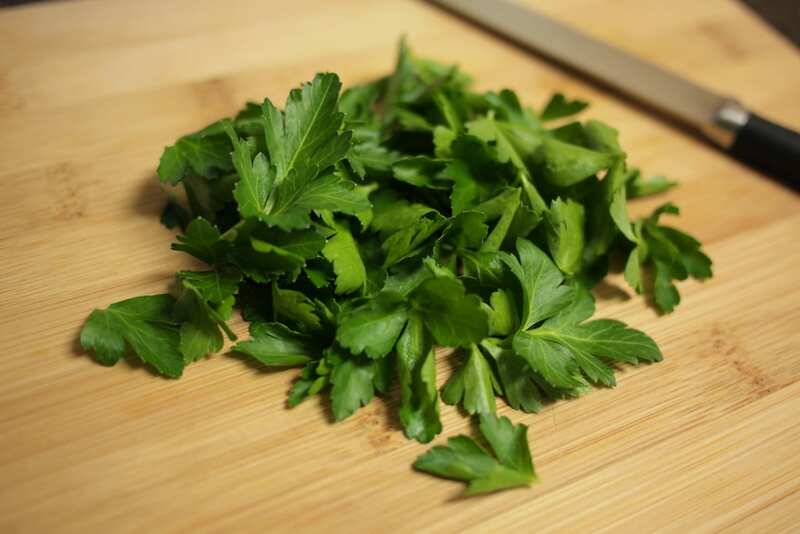 Stir in your garlic and parsley, seasoning it with salt and pepper. Set it all aside to cool. 5. Beat your paté into the mushroom mix and set it all aside. 6. 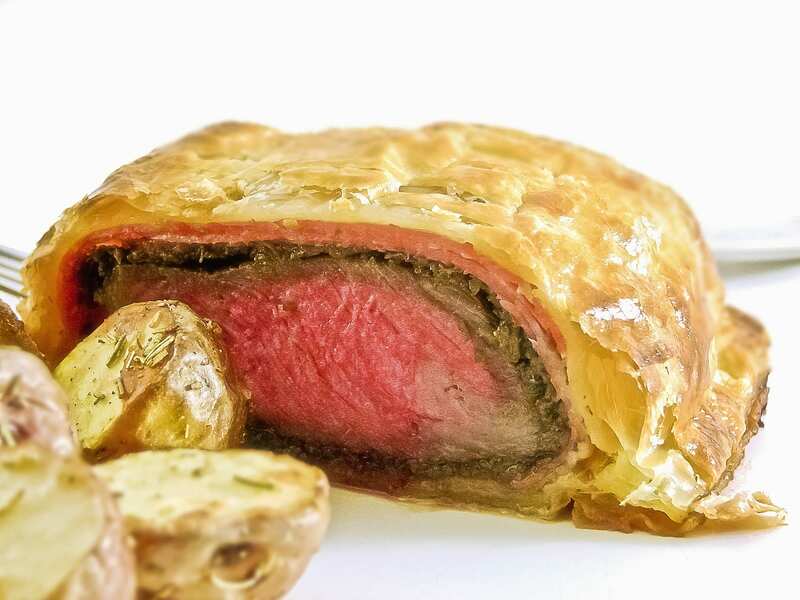 Roll out your puff pastry on a floured surface so that it’s big enough to hold the beef. Keep the excess for decoration later. 7. Spread your paté all over the pastry and put your beef in the middle on top. Leave a border around the pastry and brush it with your beaten egg. 8. Fold the dough up around the meat and seal up all the edges. 9. Put the whole thing on a baking sheet with the seam facing down. 10. Create decorative pieces out of the extra dough and put those on top. 11. Chill the whole thing for 10 minutes before baking it for 40 to 45 minutes. 12. When it’s done, move it to a cutting board and let it sit for 10 minutes before serving. [slideshow_type=desc num=9]1. Start by adding some oil to a large pot of boiling water. 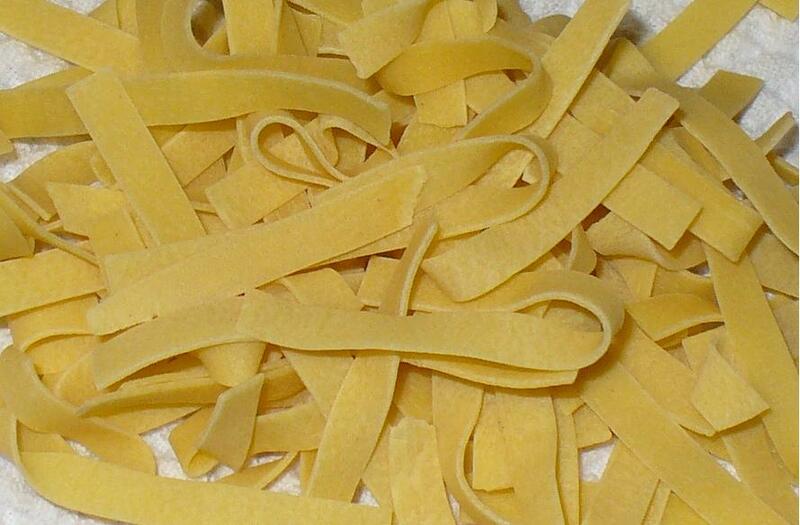 Add a tablespoon of salt and your linguine, cooking it for seven to 10 minutes. 2. In another heavy-bottomed pan, melt your butter and olive oil over medium-low heat. Add your garlic and sauté it for a minute without burning it. 3. 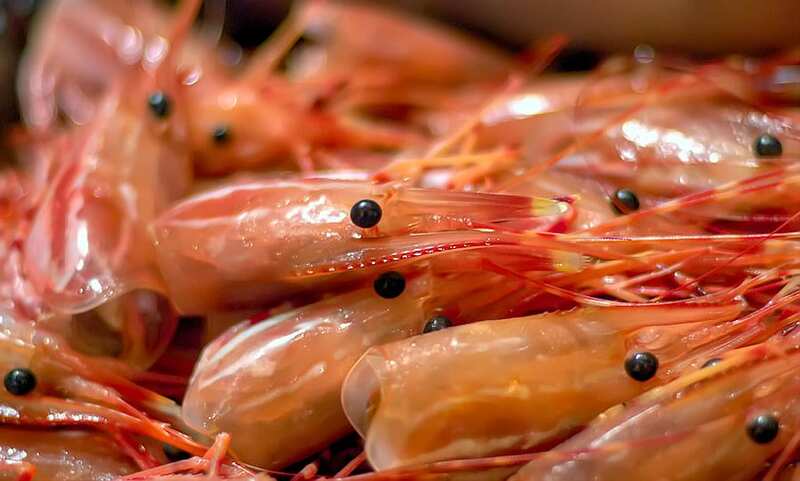 Add your shrimp, 1 1/2 teaspoons of salt and pepper, sautéing until your shrimp turn pink, stirring frequently (for about five minutes). 4. 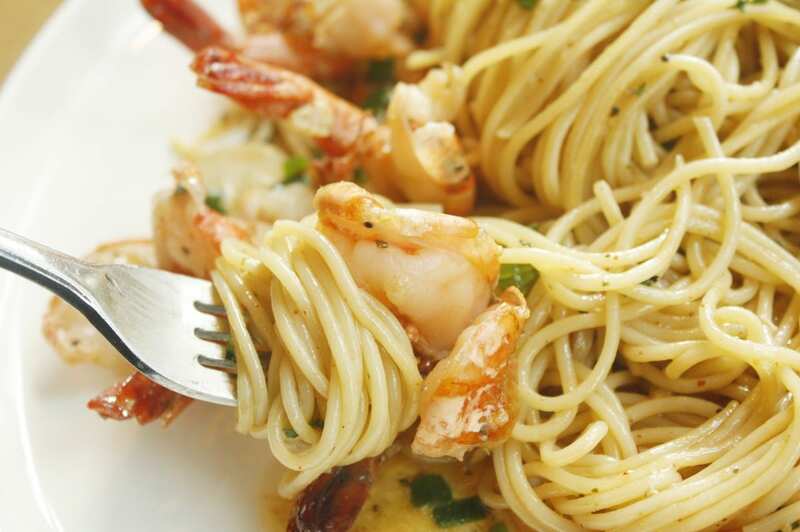 Take the shrimp off the heat and add your parsley, lemon zest, lemon juice, lemon slices and red pepper flakes. Toss everything until it’s well-combined. 5. When it’s all done, drain the linguine and put it back in the pot. Add your shrimp and sauce, toss it and serve! [slideshow_type=desc num=12]1. Pour your broth in a pan and bring it to a simmer over medium-high heat. Cover it and keep it warm on low. 2. 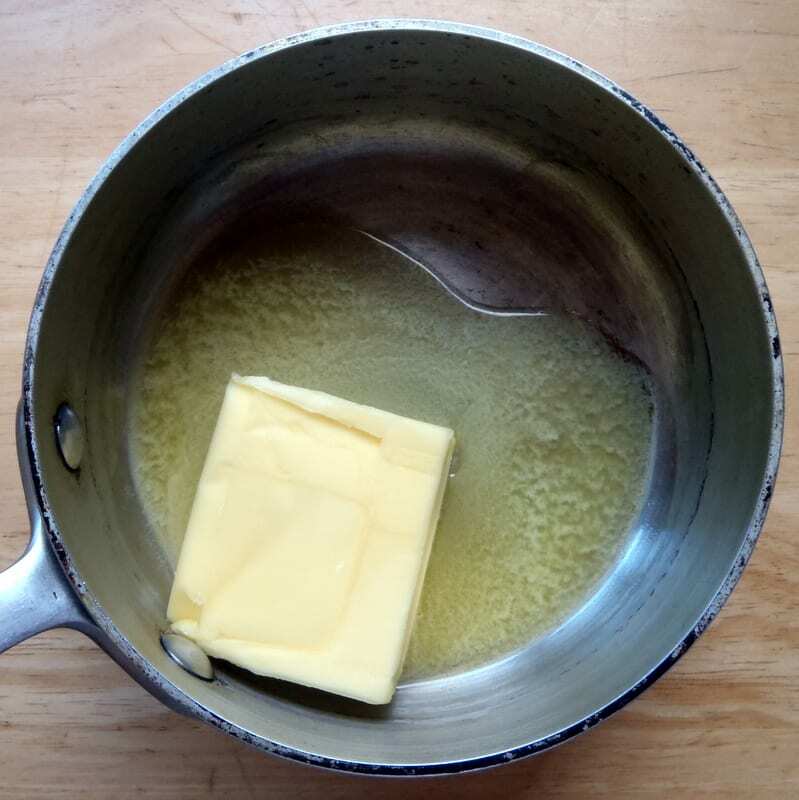 Next, melt your butter in a large saucepan over medium heat. Add your onions and cook them for eight minutes until they turn translucent. 3. Stir in your garlic and sauté it for 30 seconds. 4. 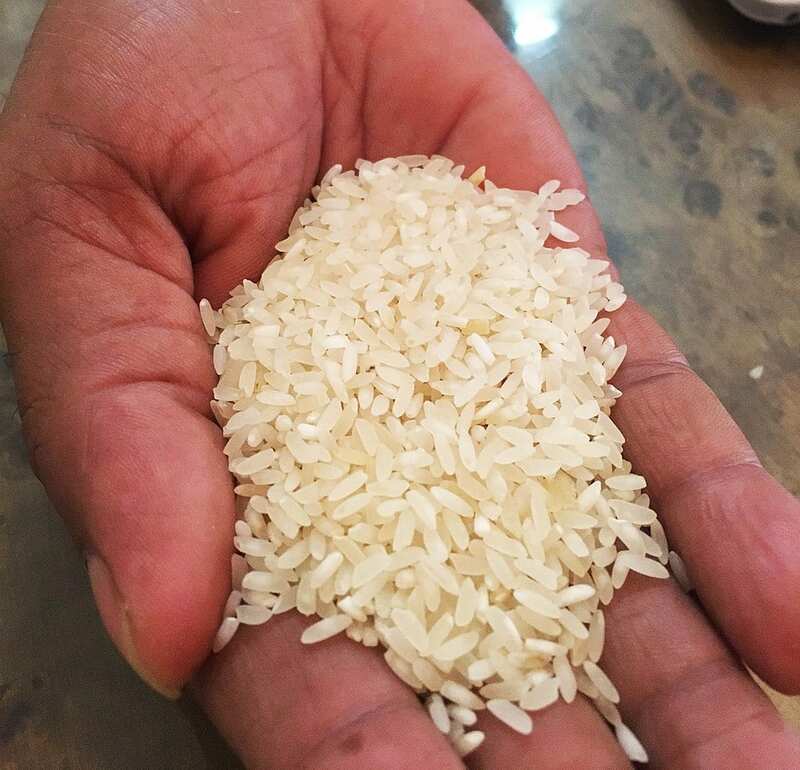 Stir in your rice and cook it for two minutes until the rice gets toasted. 5. Add your wine and stir until it gets absorbed, for about one minute. 6. Add 3/4 cup of hot broth and simmer it over medium-low until the liquid absorbs. Keep stirring for six minutes and repeat, adding 3/4 cup of hot broth two more times, stirring frequently for 12 more minutes. 7. 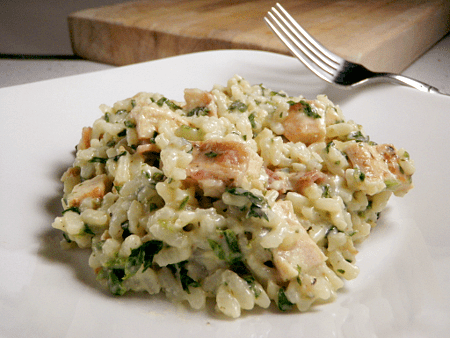 Refrigerate your risotto and the leftover broth without covering it until it turns cool. At that point, cover it and refrigerate. 8. After that, bring your leftover broth to a simmer before covering it and keeping it on low heat. 9. Stir 3/4 cup of hot broth into your risotto over medium until it absorbs (about three minutes). Add the leftover broth and simmer it until the rice gets tender and the mix is creamy (five more minutes). 10. Add half a cup of Parmesan and season it with salt and pepper to taste. 11. Finally, scoop it into bowls, add cheese and serve! [slideshow_type=desc num=15]1. Begin by cooking your fettuccine according to the instructions on the package. 2. 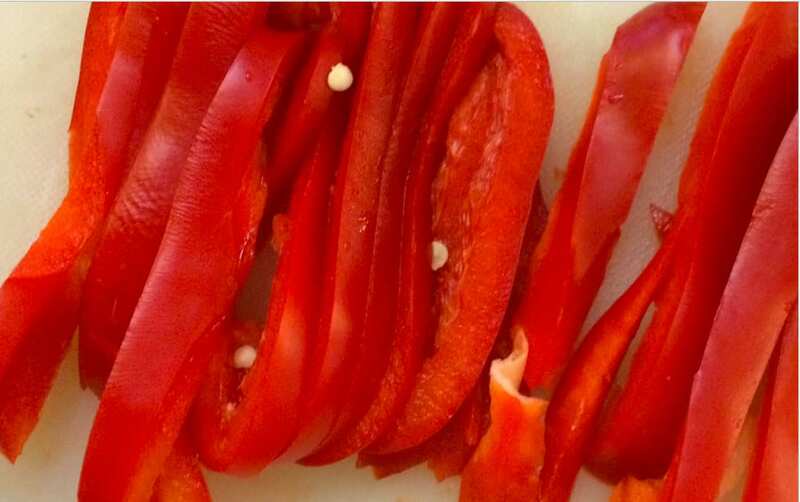 In a skillet, heat up your oil over medium-high heat and add your red pepper, garlic, lemon peel and pepper flakes. Cook everything and stir it up for two minutes. 3. Stir in your broth, wine and lemon juice and bring everything to a boil. 4. Turn the heat down and simmer it uncovered for five to six minutes. Reduce all the liquid by about half. 5. Cut each of your scallops in half and add them to your skillet. Cook it all uncovered for four to five more minutes until the scallops are firm and cooked through. 6. 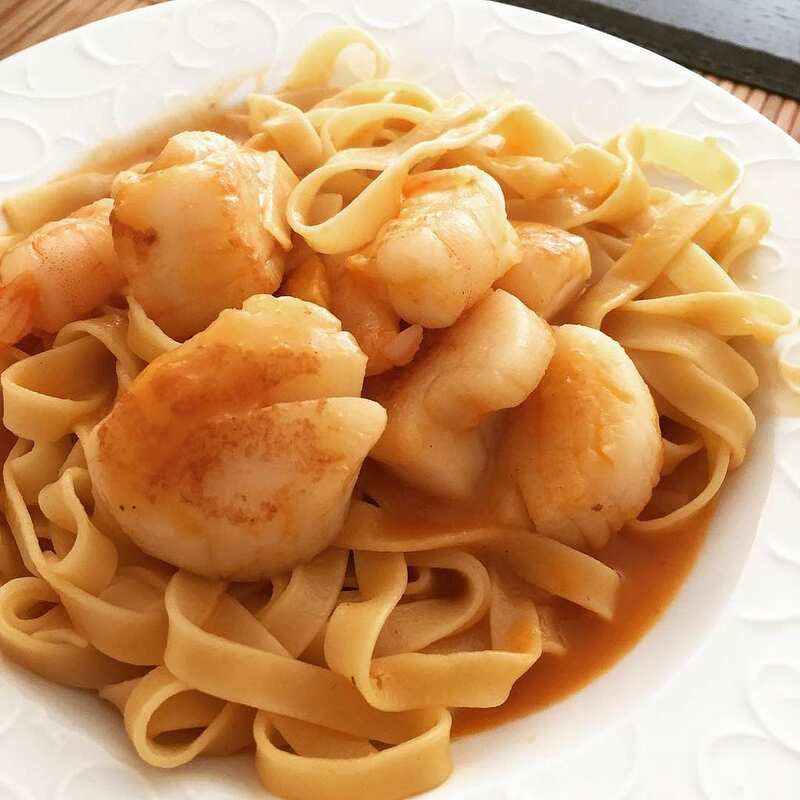 Serve your scallops and fettuccine together, add cheese and stir! [slideshow_type=desc num=18]1. Begin by preheating your grill on medium heat. 2. 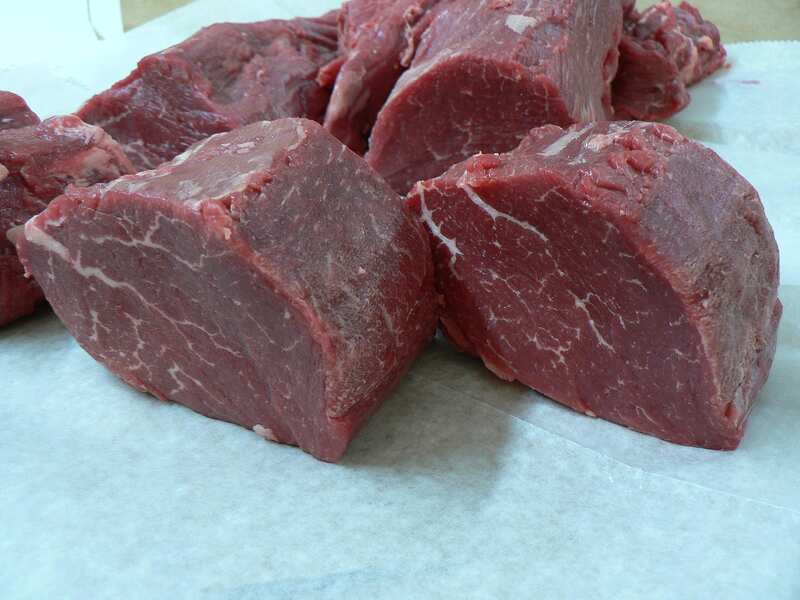 When it’s warmed up, put each of your fillets with the skin-side down on a piece of foil. 3. 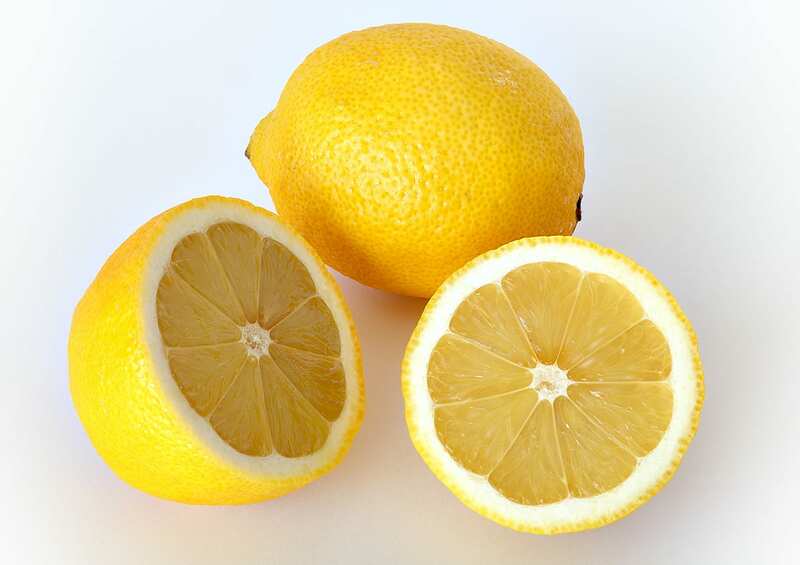 In the meantime, mix your melted butter, basil, lemon juice, salt and pepper. Scoop the mixture over your salmon and fold the foil around the fish, sealing it up. 4. When it’s done, cook your fillets on the grill until it starts to flake with a fork (for about 10 to 15 minutes). Open your foil carefully to let the steam escape. 5. 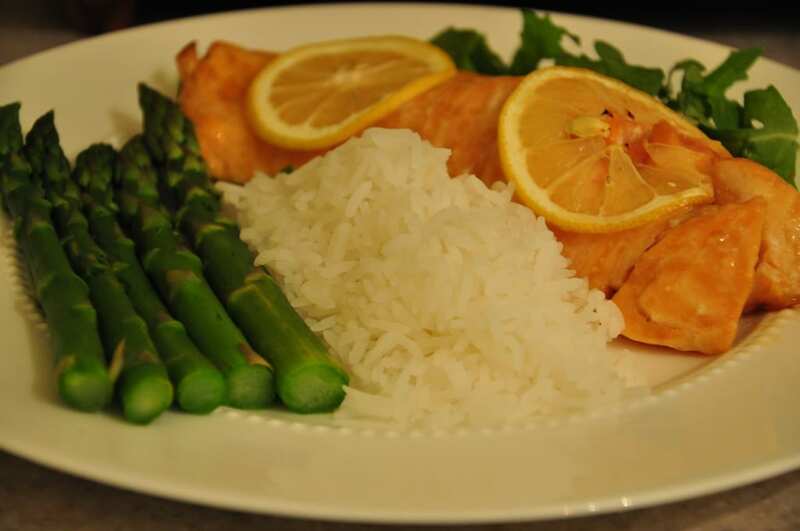 Serve the salmon with lemon wedges and enjoy! [slideshow_type=desc num=21]1. Season your turkey with salt and pepper. In a non-stick skillet, brown your turkey in oil on medium heat on all sides. 2. Cover the pan and let it cook for 10 to 12 minutes. Take the food off and keep it warm. 3. Next, mix your cornstarch and juice until it turns smooth and add it to the pan. 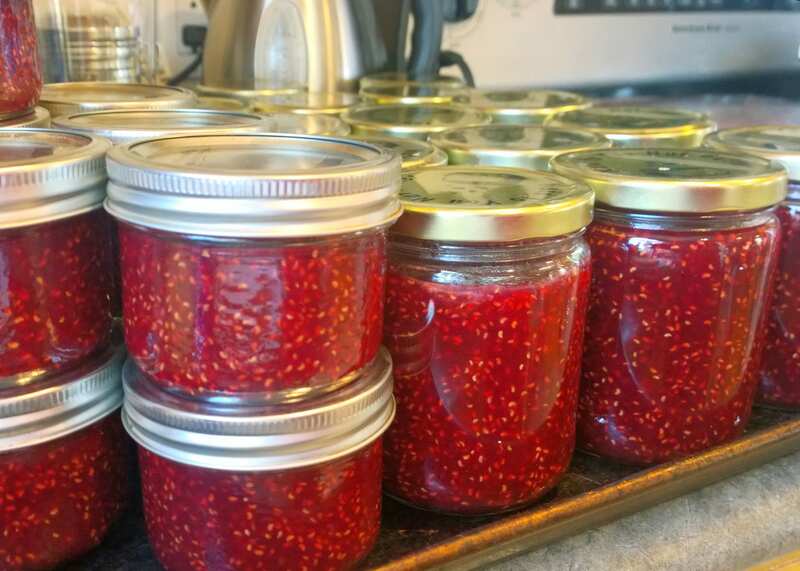 Stir in your steak sauce, raspberry preserves and lemon juice as well. 4. Bring everything up to a boil, cooking and stirring for a minute until it turns thick. 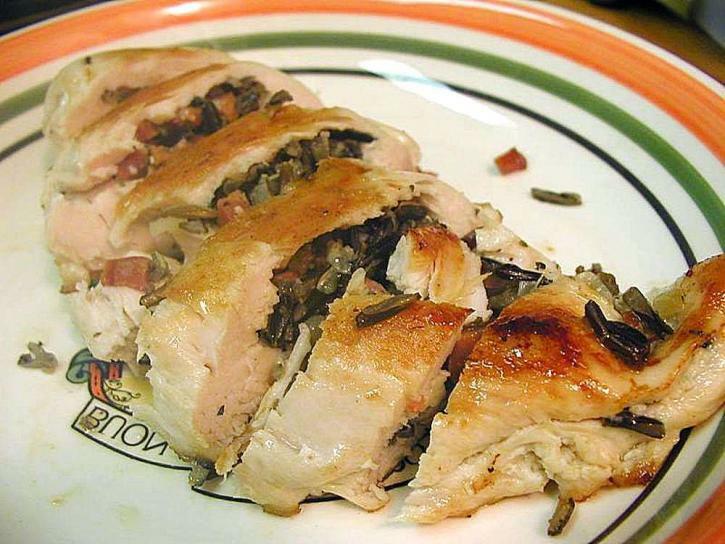 Slice up your turkey and serve it with the sauce! [slideshow_type=desc num=24]1. 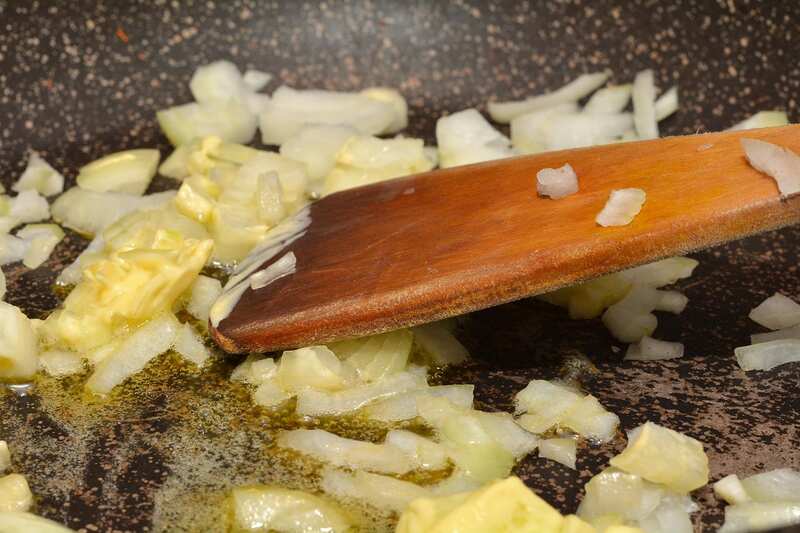 Begin by sautéing your onion and rice in two tablespoons of butter in a skillet. Cook until the rice browns. 2. Add your water, soup, lemon juice, chives, parsley and bouillon and bring everything up to a boil. 3. Turn the heat down and cover the skillet, simmering it for 25 minutes so the rice turns tender and the liquid absorbs. At this stage, take the dish off the heat to let it cool. 4. Next, sprinkle the insides of your hens with salt and pepper and stuff each one with your rice mix. 5. 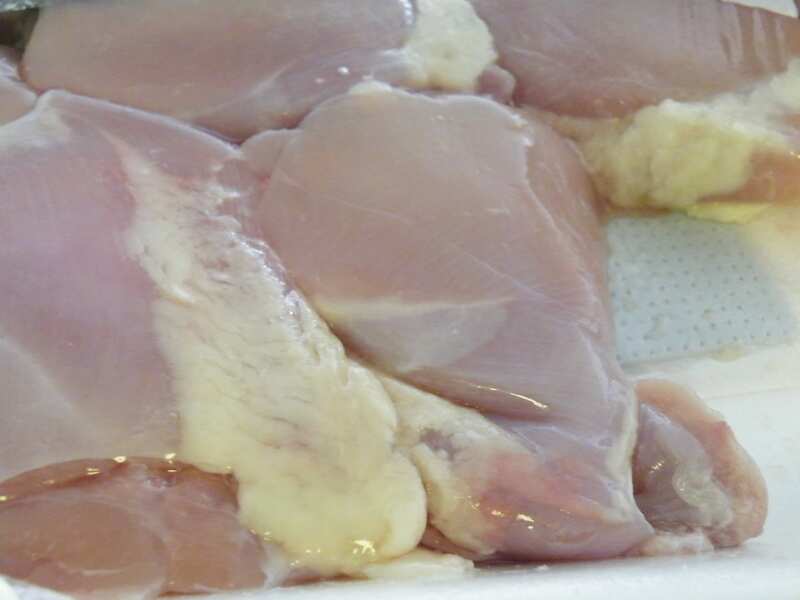 Put the breast sides facing upward on a rack in a baking pan. 6. Melt the rest of the butter and add tarragon, brushing it over your hens. 7. Finally, cover the hens loosely and bake them at 375 degrees for 30 minutes. 8. Uncover them and bake for another 30 to 45 minutes until the hens are 180 degrees and the filling is 165 degrees. Baste throughout with the tarragon butter and serve! [slideshow_type=desc num=27]1. Begin by preheating your oven to 375 degrees. 2. 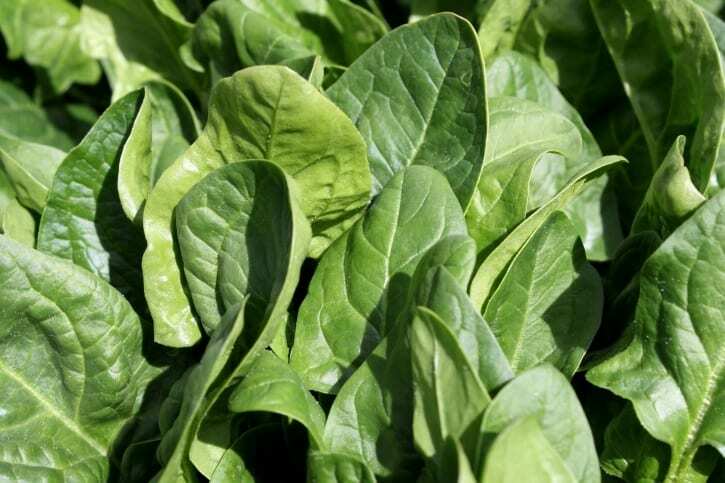 In a skillet, cook and stir your spinach over medium-high heat until it wilts. Add your vinegar, sugar and pepper and let it cool slightly. 3. After this, pound your chicken thighs down flat and season them with chicken seasoning. Top each one with the spinach mix and cheese. 4. Roll each chicken breast up longways and tie each one shut with kitchen string. 5. 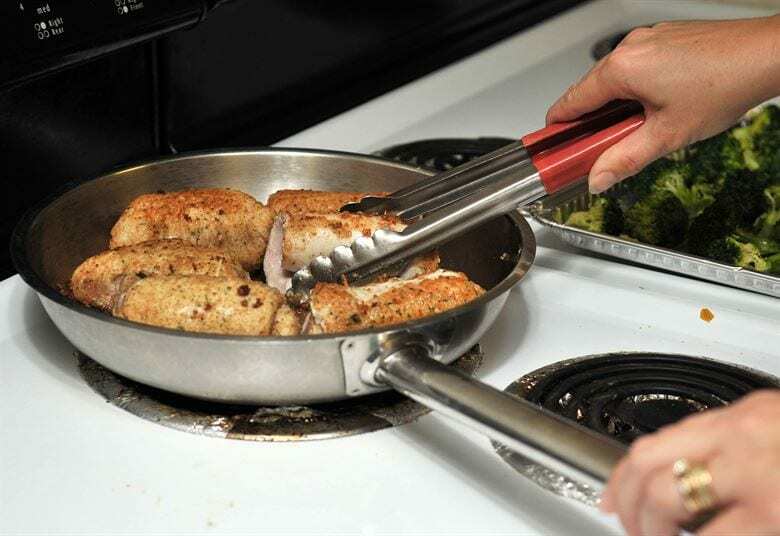 In an ovenproof skillet, heat your oil over medium-high and add a chicken, browning it all over. 6. 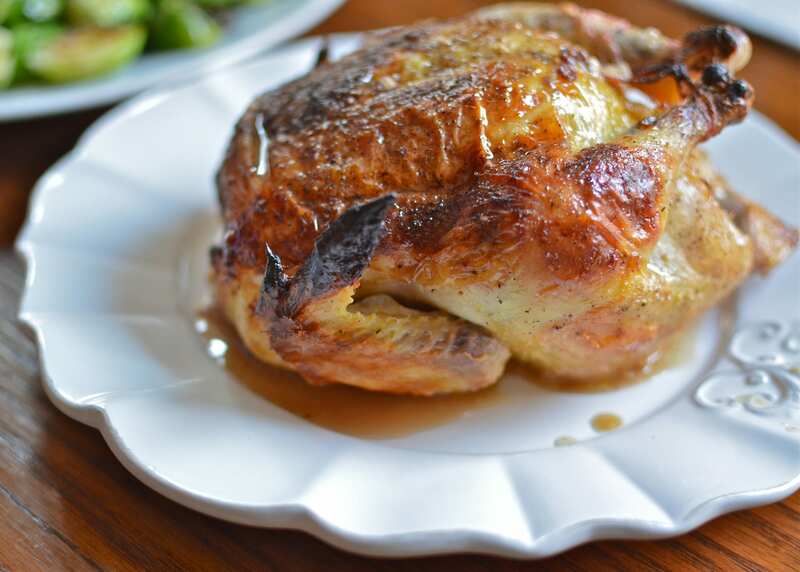 Move the skillet into the oven and roast it all for 13 to 15 minutes, until the chicken is 170 degrees internally. 7. Take the chicken out of the pan and keep it warm. Next, add broth and butter to your skillet on the stovetop and bring it to a boil. Scrape the bottom of the pan. 8. Keep cooking until the mix thickens, for three to five minutes. Serve it with chicken. [slideshow_type=desc num=30]1. 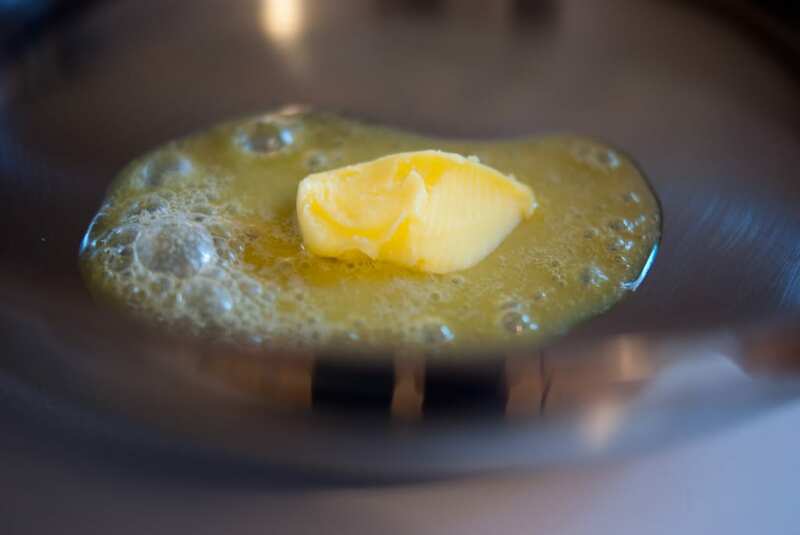 Begin by heating your butter over medium-high heat in a Dutch oven or a big non-stick skillet. 2. 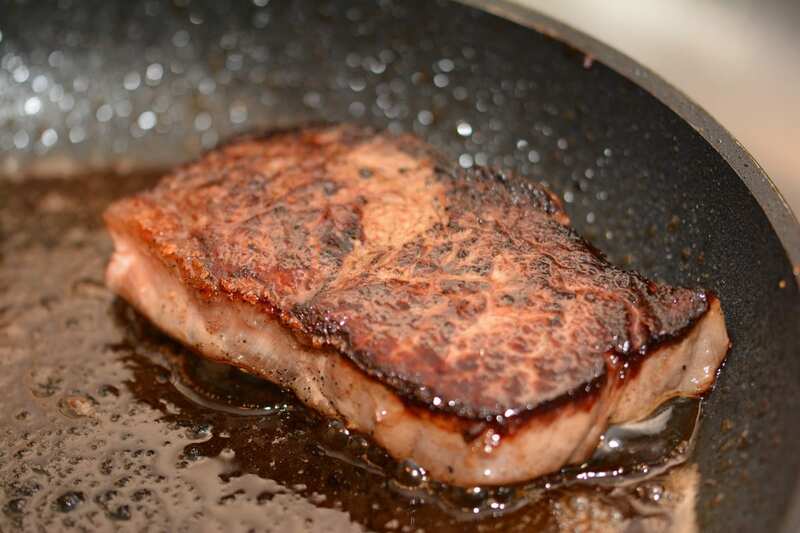 Cook your beef and onion in the melted butter for one to two minutes until it turns light brown. 3. 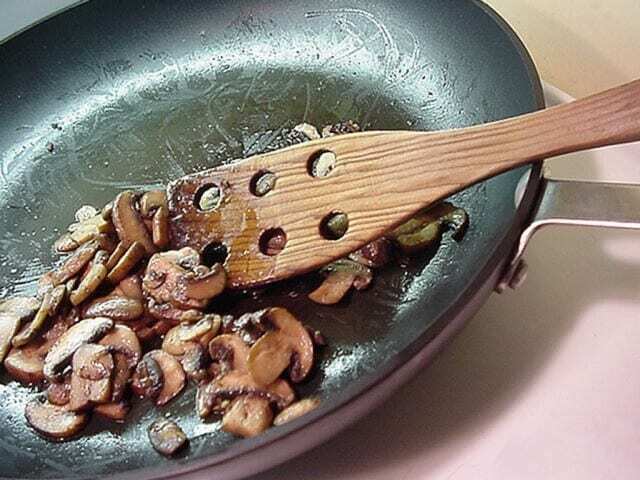 Add your mushrooms, wine, 1/4 cup of water, two tablespoons of parsley and the rest of the seasonings. Bring it all to a boil. 4. Next, turn the heat down and cover it. Let it simmer for an hour, until the beef turns tender. 5. In the meantime, cook the egg noodles according to the package instructions and drain them. 6. In another bowl, mix your flour and the leftover water until it turns smooth. Mix that into the beef mix and bring it all to a boil until it thickens (about two minutes). 7. Get rid of the bay leaf and the clove before stirring your browning sauce. 8. 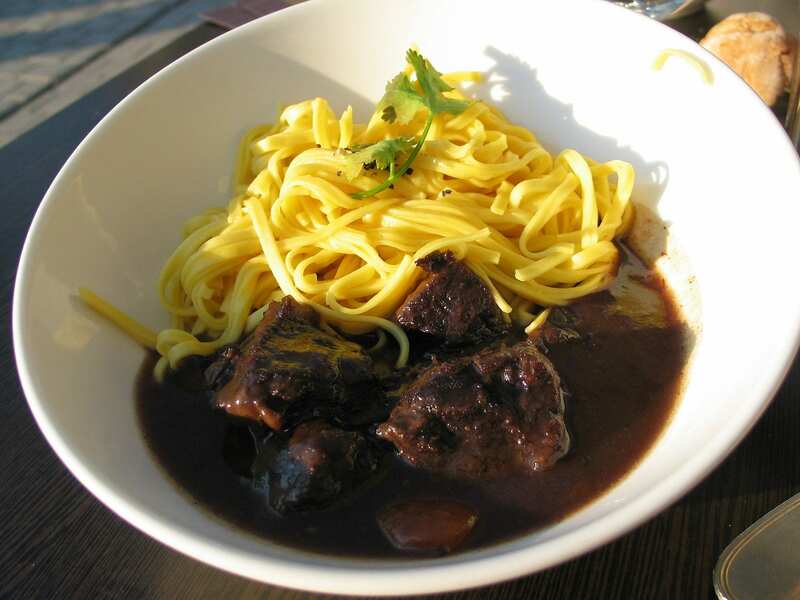 Serve the sauce over noodles, add parsley and enjoy. No matter how you choose to celebrate Valentine’s Day, each of these recipes tastes incredible and can be prepared without too much effort. 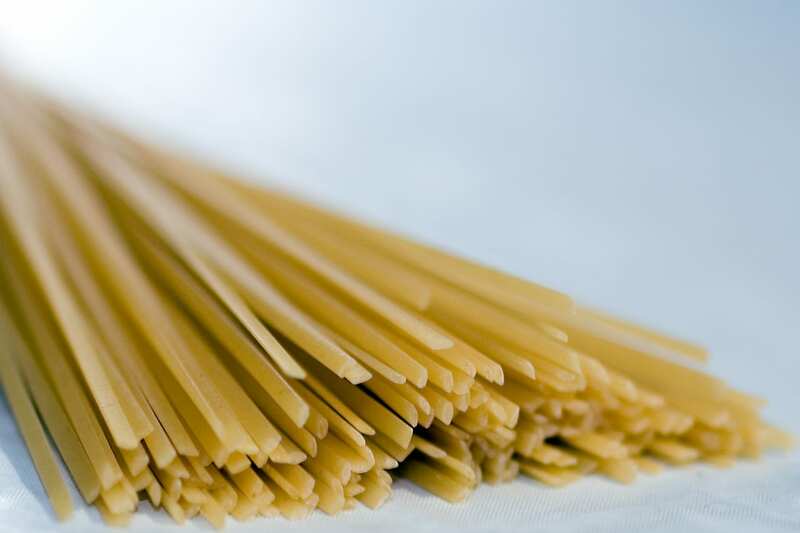 Whether you’re looking for a meat-heavy dish, a nice pasta or a seafood-based dinner, there’s something on this list that is sure to please everyone. Have you tried any of these recipes before or do you intend to? Which ones? Let us know in the comments below—and happy Valentine’s Day!